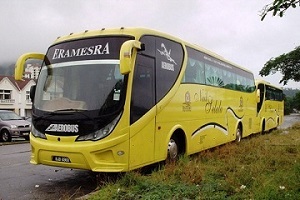 D Amour Enterprise is a bus agent based in Klang, Malaysia. D Amour Enterprise is popular in offering various excellent bus services to all passengers coming from near or far. 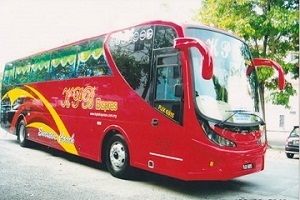 D Amour Enterprise is also well-known in providing daily bus services from Shah Alam and Klang to various locations such as Butterworth, Sungai Petani, Alor Setar and many more. D Amour Enterprise is a bus agent of Eramesra Express, Konsortium Melayu Klang(KMK), Supernice Express, Qistna Express, KPB Express (Konsortium Pelancongan Bumiputra) to provide bus service from Shah Alam to Klang, Kamunting, Bagan Serai, Parit Buntar, Butterworth, Kulim, Penang, Sungai Petani, Alor Setar, Johor Bahru, Masai, Pasir Gudang, Simpang Taiping, Bukit Mertajam and many more. D Amour Enterprise bus tickets are open for online booking at BusOnlineTicket.com! Check the schedule, ticket price and seat availability from our site now!